The Angelic Reiki healing system is taught by means of 3 workshops which connect the student with very powerful Angelic energy being anchored on earth at this time. Angelic Reiki is equally suitable for beginners and those experienced in other healing systems. It involves both 1st and 2nd Degree attunements and teaches a number of Angelic Reiki treatment methods. The attunements, which connect you with Healing Angels who will then work with you on a permanent basis, incorporate Reiki symbols attuned through the Angelic vibration. These symbols were given to humanity by St Germain at the time of Atlantis. - Full attunement up to Angelic Reiki 1st and 2nd Degree level. 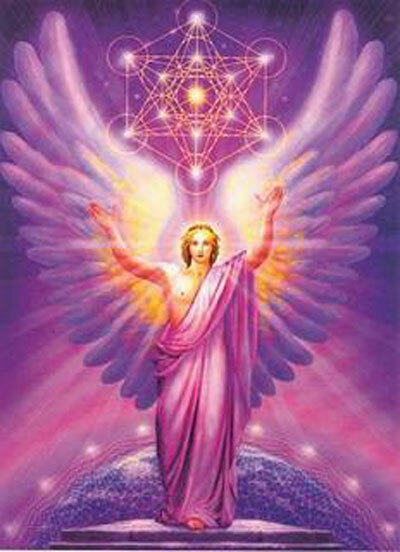 - The 7 symbols given will be activated to Angelic level, by Archangel Metatron. - The technique used to attune healing tools. - Healing through eye contact as used in Atlantis. - Healing with Soul Group energies. - Healing with energies of the Divine Presence & the Divine Blessing. - Gifts of higher knowledge given by the Sarim, the Archangelic Princes of the Angelic Kingdom. - Advice how to teach Angelic Reiki workshops and how to carry out Angelic Reiki attunements. You can be confident that when you choose to teach this system, the Angels will use you as a channel to bring to those who attend your workshops the highest healing energies possible. In learning Angelic Reiki at the Teachers level, you will receive the attunements to make this possible. As Angelic Reiki teachers you can be assured that the Angels will be with you in every workshop you teach and be absolutely confident that the Angels will support you in any attunements that you do..